This is Jackson in his simpler days, before the sliver glove and the crystal socks. This was 1982 -- a time when music videos were still in their infancy. It was when Jackson came into his own as a solo performer and started to truly make music history. You don't even need to teach your dog to moonwalk for this one, all they need is to be their charming selves. 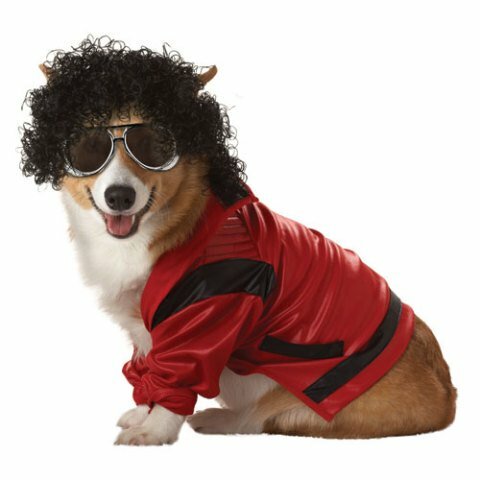 The King of Pop Dog costume comes complete with the classic jacket -- dog version, of course, a doggie fro, and some really cool shades. To order the costume, click here. Red Nose Day Goes To The Dogs In The USA!